“I am an ENT surgeon with a special interest in Otology. As such I manage many patients with tinnitus. I have started to use The Tinnitus Clinic for my private patients that require more help and a bespoke approach for their symptoms." You can refer your patients with confidence. As a CQC registered service we pride ourselves on the quality and effectiveness of our treatments. Your patients will receive the best possible medical expertise and clinical care available for their hearing and tinnitus concerns. Tinnitus affects 10% of the population and until now, those living with the condition have been told that there is little that can be done. Here at The Tinnitus Clinic we bring together the best in tinnitus expertise alongside effective treatment options to provide your patients with informed choice. We run a multidisciplinary team consisting of a consultant grade otologist, audiological scientists and an experienced mental health therapist to ensure we can help and support even the most complex of your cases. We provide a range of educational and training materials for patients and Healthcare Professionals. Click here for our latest GP First Appointment Guide. 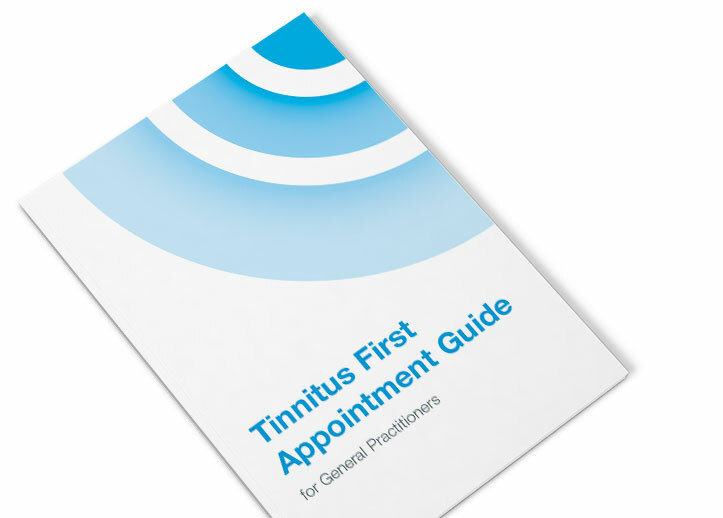 Download the free Tinnitus First Appointment Guide for General Practitioners and information on the new Acute Tinnitus Therapy. As a CQC registered service we pride ourselves on the quality and effectiveness of our treatments. By referring to The Tinnitus Clinic, you can have confidence that your patients will receive the best possible medical expertise and clinical care available for their hearing and tinnitus concerns.